Chris Blask is Global Director for Industrial Control Systems Security at Unisys. 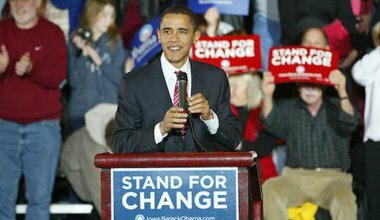 During the 2008 presidential campaign for Barack Obama he was a member of the Obama Rapid Response leadership. Chris has been involved in the cybersecurity industries for more than 25 years, inventing one of the first Internet firewalls, co-founding a Security Information and Event Management (SIEM) company, and chairing global information sharing organizations. He is involved with a wide range of national and international cybersecurity efforts. Chris lives in Orlando, Florida. Where did the controversial 'influence campaigns' come from? Two Obama volunteers look back at the revolution they started in 2008 – and how a grassroots effort in Virginia – people before party – could be key to vanquishing Trump.